You are encouraged to check out this year's Missions Fest at the Vancouver Convention Centre from January 27-29. Some speakers we recommend are Bob Ekblad and our very own David Collins. Bob is a longtime friend of Redemption Church and is one of the main speakers this year. Bob’s passion is to see leaders from the margins and mainstream raised up and empowered by the Spirit to announce the liberating Gospel of Jesus’ Kingdom—on earth as in heaven in the places of greatest need. He will be speaking on Friday, January 27th at the 7pm general session, and on Sunday, January 29th at 10am. David will be speaking on Saturday, January 28 from 11am-12pm in Room 07. His topic will be on Pursuing justice for others: Member Care - Missionary Advocacy. The focus will be on how to properly care for missionaries who come back from the field. Check out their website for more details. For a schedule overview, click this link here. The newly formed mission committee is developing a church vision and strategy for cross-cultural outreach ("mission") and would like your help regardless of whether "missions" excites you or not. Please fill out this short survey by clicking here to start! None of the questions are mandatory to complete the survey, but the more you fill out, the more helpful it will be. Hey church, friends, and family! Come and join us this Sunday for a live update - complete with stories and more pictures. You can check out the pictures below to get a taste for what we'll share on Sunday. You can read our team update below this slideshow. Thanks again for your love and interest and support. CLICK ON THE PICTURES TO SEE THE SLIDESHOW! I am very grateful and excited to be back home and able to bring you some news from our trip. First and foremost - I want to thank you all again for partnering with us - whether through your interest, questions, and conversations with us, with your finances, and in your prayers. Our team was very aware that we couldn't have done this trip and shared this amazing experience without an entire village backing us. Thanks for being that village! From Monday to Thursday we worked relatively full days on our project site - building a house for our Mexican family. Juan and Carmelita and their daughters Luz and Alma were so very hospitable to us - and worked alongside us in every step of the housebuilding. Their friends and 'hermanos y hermanas' (brothers and sisters) from their church family dropped by regularly and were quick to pick up a hammer and nails or paint and paintbrush to help in this family event. Our kids and adults worked alongside their kids and their adults - and together we built this house. And it was so evident to our team that this truly is a home that God will establish. The deep sense of gratitude and praise from Juan and Carmelita - first to God and secondly to the generosity of our extended community was obvious. And it was always in that order! On Friday - our final day of work - we spent a couple of hours putting on the finishing touches, and then we were served a delicious home-cooked meal by this generous family who have only been eating 2 meals a day because of their current lack of employment. I will save some of our other stories for later - when the whole team is back home to share with you - but in sum, we are all so grateful to have seen and tasted God's love and kindness here on earth. Our perspectives have been transformed when it comes to the question of poverty and what truly makes us rich. Thank you for your prayers! I am grateful to report that we were healthy and safe on our drive down. A couple of team members had various cold symptoms, but were still able to participate in every step of the project. Team dynamics were even better than we could have expected - and everybody was willing to work and do what was necessary and best for the whole team. Please continue to pray for the team as some have returned to Vancouver already and some are still traveling home. Pray that God would be close to each one and every single team member - child and adult would be attentive and responsive to whatever God is doing in their lives. Please pray for the transition and culture-shock that we will experience at different times and in different ways. Join us in continuing to pray for our dear Mexican family and their church community. They still face daily struggles with health and finances, but continue to seek God's face in everything they do. Pray for our Redemption Church community and surrounding neighbourhoods. One of our goals from day 1 was to be able to return to this place and this community and ask deeper questions about what God is doing here and how he is inviting us to participate. Pray that we would all be willing to listen and courageous to step out in response. We will share a live report with the church on Sunday, April 3, so come and join us to hear some stories and see some more pictures! Thank you all for your support in this. We couldn't have done it without you! The Mexico Housebuilding Team is hitting the road! At 3:30am on Friday, March 11, the 18-member Mexico housebuilding team is piling into 2 mini-vans and a honda civic to take on a 30 hour drive to Baja, Mexico. We are so grateful for your prayers, your conversations, your encouragement, and the many financial contributions that have made this trip possible. From paying exorbitant amounts of money for tacos and baked goods, to loose change in the offering bucket, to very generous cheques, you have partnered with us and we couldn't go to Mexico without you. We are pleased to report to you that as of yesterday afternoon, all of our team expenses have been covered! You helped us raise over $10, 000. THANK YOU for joining with us in this exciting adventure. Monday, March 14 - Friday, March 18 - Build a house. Meet the locals. 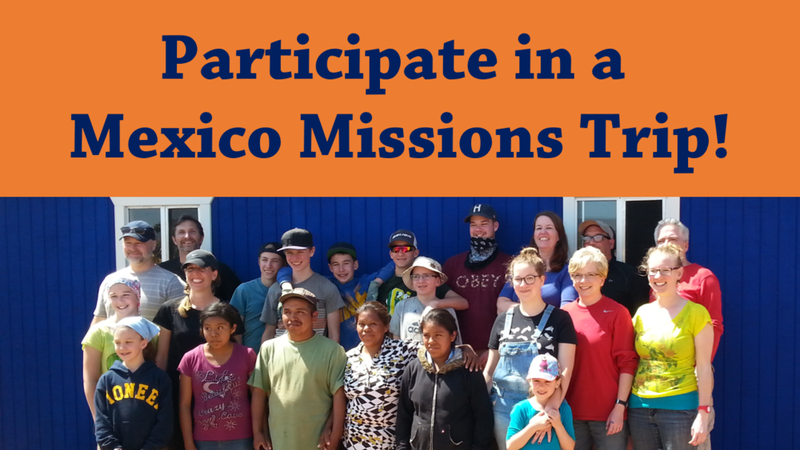 Visit missionaries, churches, and other organizations in the neighbourhood. See what the Lord has in store for us! Saturday, March 19 - Drive from Vicente Guerrero, BCN Mexico to San Diego. Some of the team will fly home. Some of the team will take the rest of spring break to drive home. For health and safety on our drive down and while in Mexico. Especially for our first round of drivers who won't be getting much sleep tonight. For team relationships - that we would communicate and deal with conflict well. That we would grow in love for one another and for God as we travel and learn and serve in Mexico. For each person on our team that we would be open to whatever God has in store for us - even if it means letting go of our own agendas. For Heart Ministries - that God would bless them for the work that they do. For the family whose house we are building. For an all-around attentiveness to the Holy Spirit. We know that God has gone ahead of us, we just don't yet know what he's planning to do. For you - the community who is carrying us in prayer. That Jesus would speak to you and minister to and through you wherever you are. Thank God for his generous provision for us. It's a bit cliche, but it is also very true that 'it takes a village' to send a team like this. Thank you so much for being part of the village! Come and SPICE UP YOUR LIFE!! Join us on Sunday, February 14th after the second service (around 1pm) to help support the Mexico Housebuilding team by eating some tacos and donating towards their trip fund. 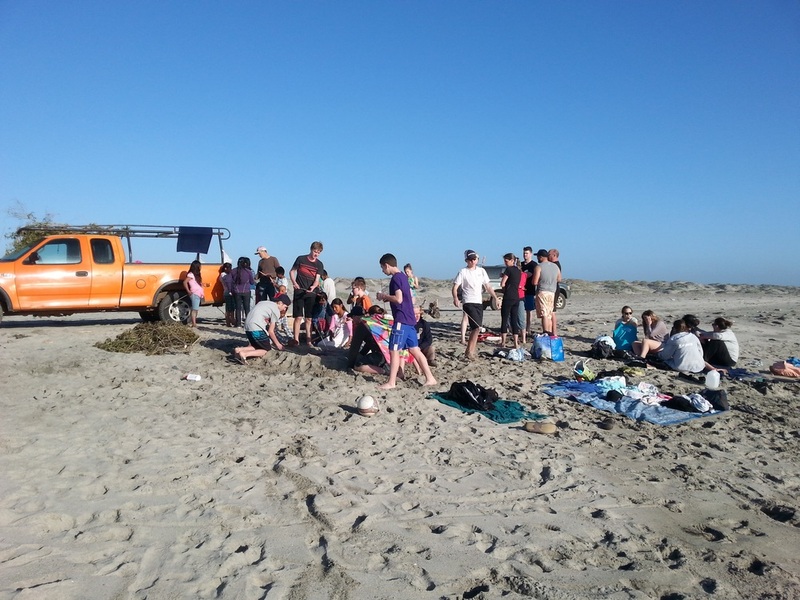 A group of 17 (children, adults, and youth) are going down to the Baja California del Norte region in Mexico to partner with an organisation that builds houses for Mexican families. Gord and Carol Taylor and their family spent 6 and 1/2 years serving there, and they will be joining us to help lead the team down there. This is a pilot project to explore and see if this kind of ministry opportunity is something that Redemption Church would like to be involved with in the future. The base cost to build a house is $3800 US which equals approximately $5320 Cdn. We need to raise this much money. If we are able to raise more money than this, it will go towards team transportation and living costs while we are away. Otherwise each team member will pay for their own costs. You can give on Sunday mornings by putting your donation in an offering envelope and marking 'Mexico Housebuilding Project' on it. Donations are eligible for a tax receipt. You can also donate online: http://www.redemptionchurch.ca/giving/ After choosing the donation amount you will be given the option to designate your funds. Scroll down the menu and choose "Mexico Homebuilding Project." We look forward to seeing you - and eating tacos with you - on Sunday, February 14th! For more information or if you have any questions, contact Lisl in person or via lisl@redemptionchurch.ca.